The 21 Day fix (a Beachbody workout and eating program) has been so helpful to me for controlling portion sizes and making sure I’ve eaten the right things each day. I’ve previously shared my 21 Day Fix Meal Tracker with you and have received wonderful feedback. The 21 Day Fix or Ultimate Portion Fix are Beachbody programs that focus on clean eating and portion control. They have a workout component that aids in weight loss and teaches a healthy lifestyle over the course of 21 days. If you are like me, you may wish to make the 21 Day Fix a permanent lifestyle. Once you are familiar with the program and the way it works doing several cycles back to back can mean even more success with your weight loss and nutrition goals. 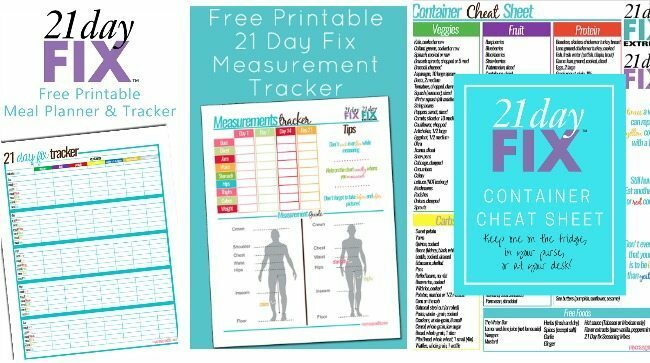 Do you have a 21 Day Fix food log in neutral colors? I’ve wondered if there are some of you who didn’t print my other meal tracker because of the colors, and I’ve decided to recreate the printable in more neutral colors for you. Having this printable available in neutral colors means we can appeal to a bigger audience and that is fantastic. 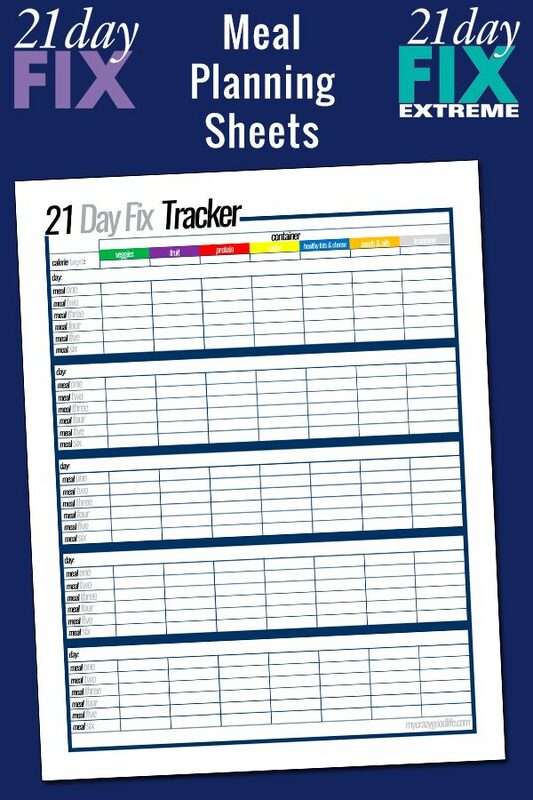 You will also be able to find my 21 Day Fix food log sheets in their original design with the links below. Since the containers are color coded it is helpful to print these sheets in color, with that in mind I try and make sure I’m not creating things that are overwhelming for your printer! Fun fact, if you need to print these sheets in black and white the words for each container are at the top so you can easily highlight them the correct color after printing or follow the food categories and the colors of your containers will align! To use, fill in the correct servings of your colored containers on the line that says, “Calorie Target” and plan your meals accordingly. A meal tracker template like this can be really useful if you are meal planning in advance but also if you are winging it and just going meal by meal! I like to have some place where I can visually see what I have eaten and what I have left to eat for the day. Success on the 21 Day Fix is largely going to be due to the work you put in on the nutrition side of things. Hopefully my free 21 Day Fix meal plan template can also be helpful. How do I get access to this 21 Day Fix Beachbody food tracker? Do you have more 21 Day Fix tools available? You can find all of these neutral colored 21 Day Fix tools here. 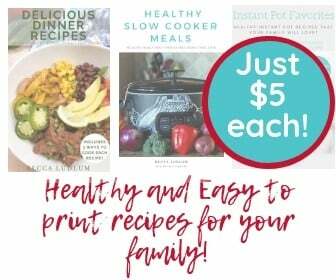 I also have a variety of recipes, printables, ebooks, and more! One of the great things about being part of the 21 Day Fix program for so long is that I’ve amassed quite a lot of resources that I use and can share with you! These are awesome for those just starting out and those who are tried and true Beachbody fans and just need some help with meal plan sheets, recipes, or tracking their containers. Can I use this food tracker for other programs? Yes, absolutely. There are a lot of Beachbody programs that use the container system. Any program that is using the container system can use this food tracker to mark down color coded containers as you eat them or plan them. When it comes to meal prep a lot of the recipes I share will translate to other Beachbody programs. Just be sure to cross reference the ingredients to be sure nothing on 21 Day Fix is prohibited in your particular plan! Do you have any 21 Day Fix meal plans? Did you know that I also have a meal plan (each one is a full week) for every calorie bracket of the 21 Day Fix program? I’ll link them below so you can check them out. All you have to do is select your particular bracket and you’ll have a full week of meals, snacks, and desserts all planned out and ready to go. With these meal plans it is super easy to fill out your 21 Day Fix meal plan sheets. You’ll know exactly what you need for your grocery list, and your containers are already calculated for each day. If you need to make changes all you have to do is substitute a meal, snack, or dessert for something in an equal container count. 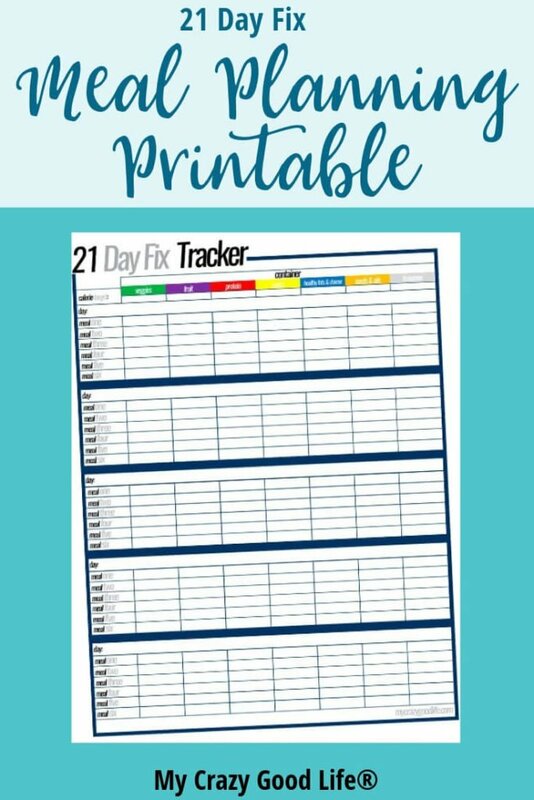 Having a 21 Day Fix printable meal planner on hand is a great way to make sure you are staying on track with your goals and eating plan. These tools are meant to supplement the 21 Day Fix programs, not replace them. In order to find your container count and see all of the accepted foods and measurements, you’ll need to purchase the program.